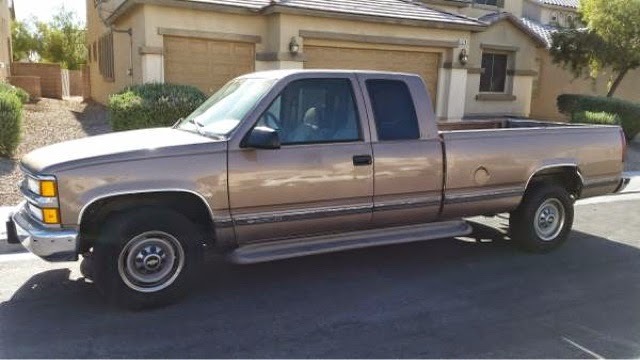 I bought a 1996 Chevy 2500, 3/4 ton, 350 V8, gas, extended cab, 8 ft bed. Nothing pretty to look at, but hopefully the drivetrain is as solid as I think it is. 192k miles.. I bought it for $1750 with some known problems, front end issues, AC leak, rear end seals leaking, drivers door power window regulator bad, both inside door handles broke, couldn't even open the drivers side. All that is getting fixed at a mechanic right now. If they get it done and actually fixed.. I will have done well, they are just charging $380. The truck still needs tires, hopefully no more than $500 there. Should be done tomorrow, I'll report more then. Today is my last day at my current job, I will be unemployed again. Looking forward to some time off. Hopefully I get the truck back tomorrow so I can try to figure out all the little stuff that might be wrong with it.